12.5 x 7 x 6"
Porcelain clay is the perfect medium for impressing delicate textures on the surface. It also gives sparkle to ceramic colors that are brushed, rubbed into and sprayed. 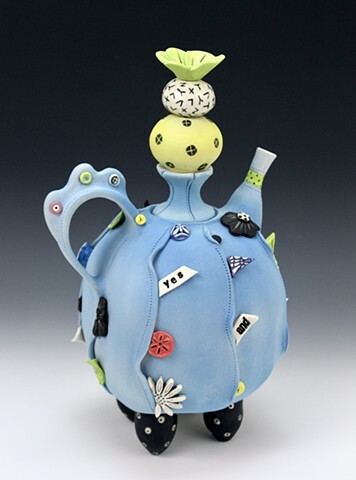 High-fired and glazed inside, this teapot has a working lid and pourable spout. The potential for use is there.